Our Mission is to develop innovative improved pharmaceutical products to treat and cure serious illnesses utilising Glycobiology (sugar biology) and the Power of Plants. Our sources are natural plant extracts with health-promoting iminosugar content. Science is key to our product range. Sugars or carbohydrates are vital to health in many ways and faults in sugar biochemistry occur in most diseases and in ageing. Iminosugars have the remarkable ability to correct many of these errors and restore a youthful balance. There are many sugars used in the body for important functions and they offer exciting new opportunities for treating many diseases. For over 30 years our researchers have led the way in identifying natural plant iminosugars in herbal medicines and healthy foods and in determining how they work in promoting good health. Many modern fruit and vegetable varieties lack the iminosugars as they have been blindly bred-out in favour of shelf-life and appearance, etc. Most food supplement products based on extracts also lack the natural iminosugars in favour of coloured anti-oxidants which have usually no proven health benefit. We are now able to provide a unique product range based on our research that ensure the health-promoting natural iminosugars are present and measured. The science of DrNashGlycoHealth is supported by our R&D company PhytoQuest Ltd with over 18 years of pharmaceutical discovery and development and over 200 refereed publications and patents. PhytoQuest are world leaders in the discovery of iminosugars and based on our research we believe them to be the elusive active components of many if not most herbal medicines (Nash et al., 2011). Iminosugars are natural, stable small carbohydrate analogues with the ring Oxygen replaced by Nitrogen. They are present in many clinically proven herbal medicines but rarely noticed in the past because they are difficult to detect and their effects on sugar biochemistry can be very subtle. They have a wide range of biological effects related to their ability to correct aberrations in sugar biochemistry; such aberrations occur in most diseases and iminosugars offer an exciting new way to control such diseases. Professor Nash has a strong academic background in identification and bioactivity of herbal medicine novel active components with over 200 publications and patents. He started his career working at Kew Gardens working on anti-HIV agents that affected the surface sugars of viruses funded by the Medical Research Council. Robert went on to focus on the importance of sugars (‘the Glycome’) in cancer, immune responses and in many other disorders such as diabetes. He has a strong interest in improved disease prevention and complimentary medicine as well as new therapeutic agents. 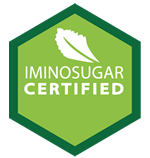 Years of work on medicinal plants and health-promoting foods by him and his team has identified many new iminosugar compounds helping to maintain a ‘glyco-balance’ and this work has led to the product range from DrNashGlycoHealth. New pharmaceutical compounds with novel targets are also being developed from this research. Robert was awarded the 1st Pierre Fabre Prize by the Phytochemical Society of Europe in 2001 for his work on iminosugars. The important issue for Robert is that the products or foods with health claims should work and an active compound and effect can be measured. There are many products available based on a traditional use that is often misleading or wrong and they are usually produced using processes that remove the active compounds or concentrate the wrong components. Many fruits and vegetables can be good for health but the modern varieties often have had the useful compounds removed in favour of, for example, good colour or shelf-life. Our products are checked using state-of-the-art in house instruments such as 500 MHz NMR, GCMS and LCMS and years of specialist know-how.